Every culture has its stories. Storytelling is basic to humanity. We, humans, are tribal. Since the dawn of time stories have been used to inspire. Stories are the currency of the community. We need stories to help us pass on wisdom and feel connected. To share our dreams and celebrate them. Stories are beloved by children, but they are not just for them. They are for us all. Great leaders have known this across history. 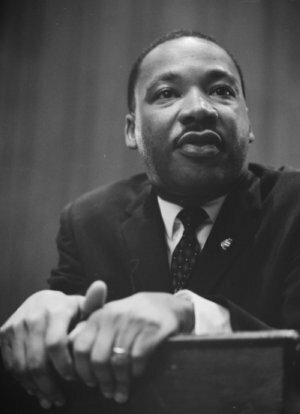 Martin Luther King was a great user of stories to catalyze and change. I was reminded this morning of the importance of storytelling and culture, when a colleague shared an article on the power of storytelling and how it helps to drive an engaged and empowered culture. Leaders who think that “telling stories” in business is a fluffy non-value-add activity that has no relationship to performance or financial results are dead wrong – or very out of touch with what people are saying about your company. Stories shape our experience. They drive us to action. They motivate people to change (sometimes by taking our creativity and skills to a competitor.) They hold a culture in place or allow it to change. They always, always engage and inspire people more than a boring Powerpoint slideshow! This is in part, why the show “Undercover Boss” was so popular for awhile – it gave the CEO a chance to hear the stories being told around his company. “Our people want to know the story. They want to know what’s going on. They don’t want anything mysterious – just the straight stuff, the truth. “So we need to be able to tell our story, an honest, credible story that our management team can communicate throughout the corporation. It’s something we’ve got to talk and walk,” Downs said. During the next few weeks, Downs created what he referred to as “The Amtrak Story,” literally a story about Amtrak’s past, present, and future. The story is lengthy, but it builds to a crescendo as Downs carefully enumerated the lack of funds, lack of customer-centric focus, lack of riders. He assembled 115 managers and shared his vision by telling a story. For leaders throughout Amtrak it means communicating with everything they say and do that we have no choice but to create a fundamentally different railroad – a railroad that is dramatically tilted toward the customer. For all our employees, it means viewing the customer as your only boss. Reinventing Amtrak will mean assuming different roles and responsibilities. It will mean trying new things on behalf of the customer. Reinventing Amtrak also means a new relationship between the organization and our employees. Many people will find the process of reinventing Amtrak to be an exciting and rewarding one. Some will be uncomfortable in the new environment. They may find comfort going elsewhere. We thank them for their contributions and recognize them as important Amtrak alumni. We are America’s railroad. We cannot continue to survive if we don’t reinvent Amtrak. We can become the world’s best passenger railroad. It will take time, down-in-the-trenches hard work, and an unwavering focus on our customers and our employees. Getting there will be at once exciting and painful, exhilarating and frustrating. But when we get there, it will have been worth the ride. When he finished, Amtrak’s managers gave him a standing ovation. He’d said things they all knew and felt, but that nobody had said until Downs said them.